Dynamic seasons change everything at the world’s greatest automotive festival. Go it alone or team up with others to explore beautiful and historic Britain in a shared open world. Collect, modify and drive over 450* cars. Race, stunt, create and explore – choose your own path to become a Horizon Superstar. VIP Membership: VIPs receive 3 Exclusive Forza Edition cars, VIP Crown Flair, VIP Vanity Items, VIP Emote and Car Horn, Free Player House, 2x Credit race rewards, weekly bonus Super Wheelspins, and more. FH4 is simply amazing! the new additions to the change in the weather system is a welcome addition to the game. Each season feels completely different and its great to adjust your driving style to these ongoing changes in weather. As usual the car line up is superb and houses/property are great to own. 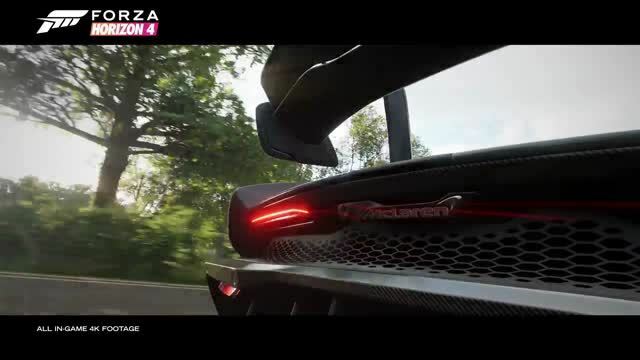 Overall FH4 is simply the best game in the series and by far the best open world arcade racing race of this next gen era! Not without it's flaws though. It is generally quick to complete all the races. And I mean all of them. And showcases. You will spend most of your time grinding out the PR events, and going through the same races in different cars and seasons. That said, my gosh darn is this game beautiful! Autumn and Winter seasons are just a joy to behold, with the various colours of them blended into the gameplay. For newbies, this is still a racing game. You can create your own blueprint of the race, as in changing the car type and lap length. This game world is full and alive. The elevation changes are well used comparing to the vast openness of Australia in the previous title. Barn finds are a good hunt for that British car history feel. Edinburgh is beautifully detailed. The option to purchase houses is quite a nice addition from removing the bucket list from FH3. The offline does however feel eerily dead. You can join a club, but it is not the same when you only see so few other "drivatars" around you. But it's the small changes. Having the traffic turn into "ghosts" when attempting a drift zone or speed zone is such a welcome addition. The details on the screen when the rain and snow fall is gorgeous. Looks amazing, lots of cars, lots of car mods tunes and paints. You can spend hours on this game. Only negative is online multiplayer isn't as enjoyable as FH3 was, but it should be fixed in the near future.